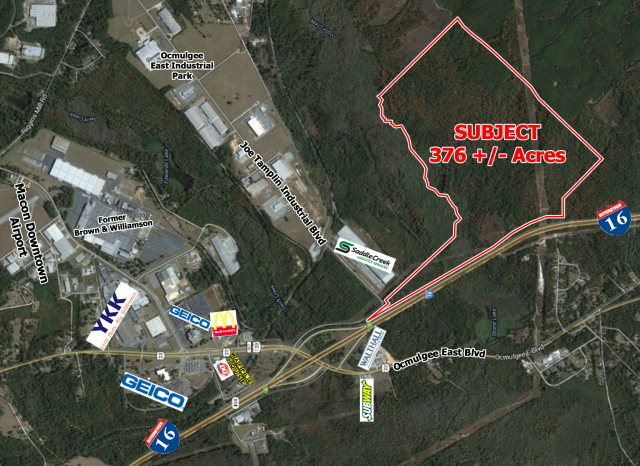 Remarks at 400 Joe Tamplin Industrial Boulevard Macon, GA - 376 acres next to Ocmulgee East Industrial Park. Visible from I-16 with 8/10 mile frontage. Potential industrial land. Proposed industrial park with 3 buildings with 2,200,000 square ft. Property is currently being leased for hunting.